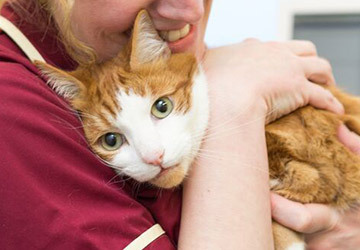 Christmas has come and gone and after all the excitement and fuss it’s no surprise that we all – including our pets – can find it hard to get back into the normal routine. 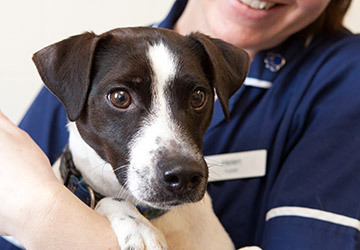 If your dog seems a bit out of sorts at the moment, this could be why. So, Edgewood Veterinary Group’s head nurse Jessica has some ideas for putting the pep back into your pooch. In the meantime, remember you can always contact us for advice if you have concerns about your dog’s behaviour. If your dog is displaying any of the following behaviours but doesn’t seem ill, it could be that they’re not getting enough stimulation. Mind-stimulating games, such as playing hide-and-seek with their favourite toys, or teaching a new trick. Plenty of exercise is a year-round must, but it’s not so inviting when it’s cold outside. Why not seek out some new or longer walks, so your dog can run off that excess energy and you can both discover new places to explore in Essex. 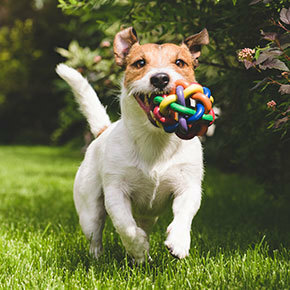 Playtime not only entertains your dog, it helps them to positively focus any predatory behaviour. It’s simple to add novelty to the new year by saving some of that inevitable excess of Christmas toys ‘til January. Puppy preschool and similar structured classes are a safe environment to teach obedience, communication and socialisation. That goes for owners, too! Companionship is as important for dogs as it is for people. If you’re a one-dog household, why not make a regular play-date with a pooch pal? This will give your dog essential social skills, and it’s also lots of fun. 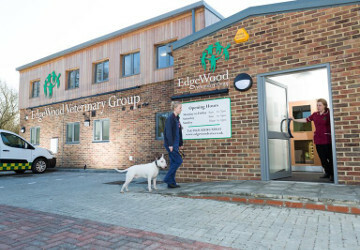 Remember, you can always ask our vet nurses here at Edgewood Veterinary Group for dog game ideas or for advice about improving your dog’s behaviour. Enjoy a happy and healthy new year with your dog.